Charlie’s week is coming up in October, celebrating all things good about the Prince Charles Hospital with a range of activities and Guest speakers organised across the week. To find out what’s on, check out the timetable here. Have you got the scooper power? Each year The Prince Charles Hospital Foundation raise vital funds through the legendary EKKA Strawberry Sunday Stalls. With the help generous volunteers, we sell enough EKKA Strawberry Sundaes to power thousands of hours of medical research to tackle some of Australia’s most debilitating chronic illnesses - right here at The Prince Charles Hospital. At last year's EKKA we had a goal to sell enough EKKA Strawberry Sundaes to support 4,000 hours of research - with an amazing effort from all of our volunteers we were able to raise 3,800 of research hours! This year we are hoping, with your help, we will reach and surpass our 4,000 hour goal! The helping hands of 3,000 volunteers like you! we can’t do it without you! The EKKA is synonymous with Strawberry Sundaes, it’s a Queensland institution! Well, we still require over 600 volunteers to assist us with shifts from 4:45pm – 10pm on each day of the EKKA. So, if you can assist please either head to our Volunteer Page to volunteer for the EKKA and submit your application or alternatively contact the us at events@thecommongood.org.au. It is also possible to register a team for this event so please email us in order to sign up. We really need your help and appreciate your support! The annual Cycle of Giving fundraising ride is on March 5th 2017, and this year our goal is to raise $200,000. Register now to ride 100km, 65km or 25km on one of the most beautiful bike rides through South East Queensland, with starting locations from Landsborough, Caboolture and Redcliffe. There are 1300 Australians on the waiting list for a new organ, but there aren’t enough donated organs to give these deserving people a second chance at life. The key to closing this gap is through research; research right here at The Prince Charles Hospital. Register today to get involved and help power the next important discovery. 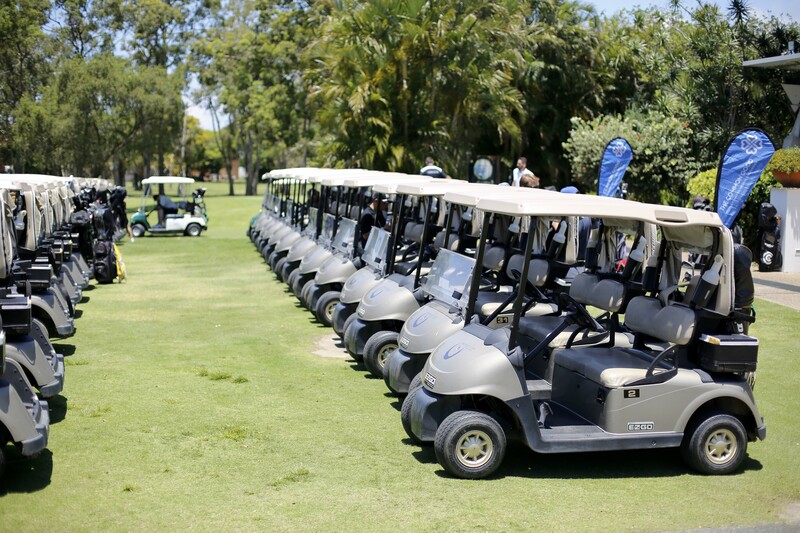 Registrations are now open for The Prince Charles Hospital Foundation Annual Charity Golf Day! This year marks 28 years since The Prince Charles Hospital hosted the very first annual charity golf day, and since then it has helped to raise crucial funds to power thousands of hours of life-saving medical research – and all with a round of golf. Join us on Friday the 14th of October 2016 at Virginia Golf Club for a round of golf (4-ball Ambrose), a BBQ lunch, buffet dinner and plenty of competitions and prizes throughout the day. Individual player registrations start at $65 a head, so to secure your spot please contact our team on 3139 4636 or via events@thecommongood.org.au. You can read more about the kind of research Charlie's Golf Day supports here. This year, The Prince Charles Hospital (TPCH) annual Health Discoveries Forum will be incorporated into TPCH week, 17 to 21 October 2016. Both Novice and Experienced researchers are invited to submit abstracts which will be considered for poster and / or oral presentation. Leading abstracts will be invited to present in the afternoon of Tuesday 18th October or Wednesday 19th October in a short 3 minute thesis format (with further information to be provided on acceptance of abstract). The best of the best will be asked to expand on their presentation in the final on the morning of Friday 21st October where prizes will be awarded. On the 12th of August, we were proud to support the official Guinness World Record attempt for the largest practical science lesson. More than 3000 students from dozens of different schools around Queensland came together at the Brisbane Convention & Exhibition Centre for a special kind of school day; a world record attempt. Students from primary through to high school got involved in a range of science activities, ranging from presentations on drones and magnets, to a special lesson by our very own Professor John Fraser. Assisted by young researchers Andrew Stephens and Eric Wu, Professor Fraser explained to the students how the heart works and changes speed throughout the day, when we do things like run around or even just stand up. He then demonstrated some of the incredible technology utilised at TPCH to help save hearts and lungs; much to the amazement of the captive audience. 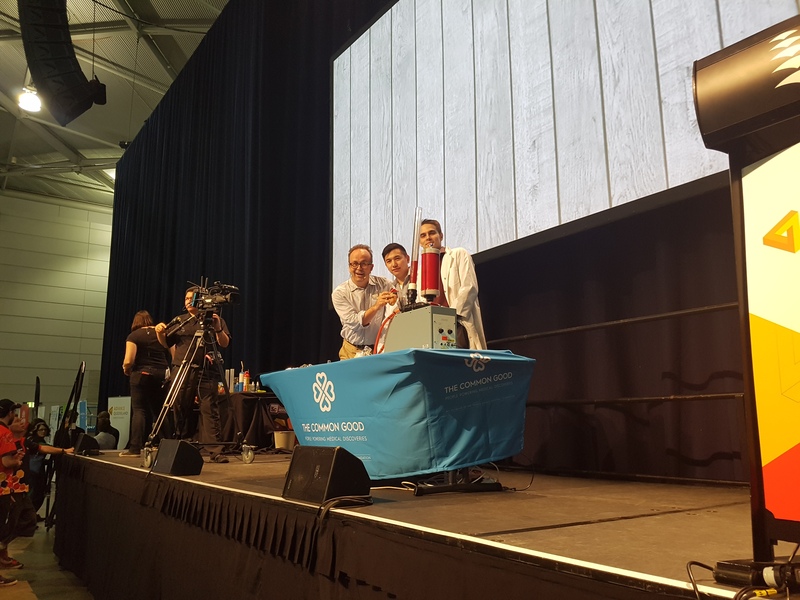 Organised as part of National Science Week, Queensland Department of Science was able to set the official Guinness World Record for the largest practical science lesson. Congratulations to everyone involved the incredible effort and organisation that went into planning the day! The strawberries are growing, the ice cream is in the freezer, and our volunteers are gearing up for 10 days of excitement at this year’s Royal Queensland Show! Every year The Prince Charles Hospital Foundation sells the EKKA Strawberry Sundaes, and we’re now less than a month out from the event. While it’s easy to get distracted by the food and amusements, it’s really about one thing for us: supporting our researchers and raising crucial funds to help them carry out their life-saving work. We have an incredible team of both young and experienced clinicians, doctors and engineers at the hospital that dedicate their entire careers to improving treatments for patients, and look into some of the biggest medical mysteries we’re faced with every day. Whether it’s looking into better ways to transplant lungs, discovering new heart disease treatments or pioneering a world-first brain scan for early detection of dementia, every ice cream you buy this year is going to a good cause. We hope to sell enough Strawberry Sundaes in 2016 to power over 4,000 hours of medical research. We still need plenty of volunteers to help with the event (particularly the night shifts), so if you can spare a few hours between August 5th and 14th we would love to have you on board! Head to our website to register! There are few people who can claim they’ve had as an exciting career as Kerry O’Brien. The renowned journalist of fifty years has been around the world for his work, interviewing the likes of Nelson Mandela, Bette Midler and Robin Williams for his roles on The 7:30 Report and Four Corners. The Foundation was fortunate enough to have Mr O’Brien join us as keynote speaker for our Life & Times Function last week. Hosted by board chair Bernard Curran, it included corporate partners, friends and supporters of The Common Good, all coming together to hear about the incredible leadership and inspiring journey of Kerry O’Brien. Mr O'Brien was also announced as a new ambassador for our initiative, The Common Good. Guests were also able to hear about some of the breakthrough, life-changing research being carried out by Dr Eamonn Eeles. Collaborating with CSIRO and other major stakeholders, Dr Eeles is part of a major dementia research project, looking at new ways to scan for early onset of the horrible disease. A huge thank you to everyone who was involved in the planning and running of the event, and a special thanks to BDO, Hentley Farm and Dello Mano, for providing the venue, refreshments and small gifts for all of our guests. You can read more about Dr Eeles’ dementia research and support the project here. Remember the star of The Unforgettable Run, Richard Bettles? Last year he completed the Ultra Trail du Mont-Blanc, an ultramarathon run throughout the French, Italian and Swiss Alps regarded as one of the most difficult runs of all time. This was all done in the name of dementia research, raising nearly a thoursand hours of research time. Well, Richard is back this year, and taking part in one of the most prestigious trail runs known to man. The Western States Endurance Run is a 161-kilometre (100 mile) race that takes part in California, with only 68% of its participants making it to the finish line in 2015. Richard is one of the 3% of applicants that have been chosen to take part this year, and he’s training to complete it in less than 24 hours. He hopes to raise enough to fund 700 hours of dementia research, and he needs you to help make it happen. 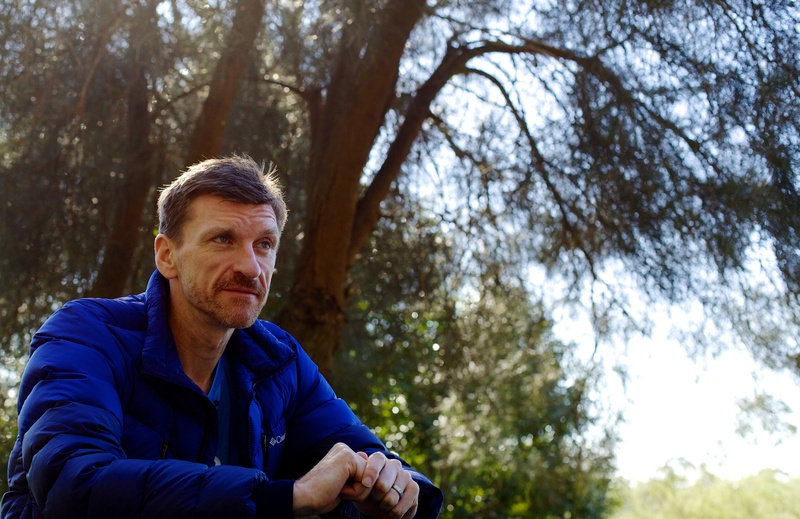 Join Richard and researchers in the ultimate Race Against Time, to help battle a disease that will take hold of nearly 1 million Australians by 2050. You can find out more about this race and how you can get involved here. Congratulations to the next round of successful young researchers who received a New Investigator Grant. Extracorporeal Membrane Oxygenation and Development Of Diaphragm Atrophy. Dr Cheng He Development of an ovine model of dilated left ventricle heart failure to expand research capabilities in the field of cardiology and mechanical assist devices. To see some of the fantastic work previous New Investigators have been doing, head to The Common Good. Our Experienced Researcher Grants are designed to help support strategic, world-class, sophisticated research on The Prince Charles Hospital Campus or in significant partnership with The Prince Charles Hospital and its associated programs. These grants will open for applications on Friday April 1st 2016, closing on Friday May 20th 2016. To find out more information or apply for an Experienced Research Grant, please visit our Researcher Hub for more information. Thank you to everyone who was involved in this year’s Cycle of Giving. 709 riders and over 3,000 research hours funded; the Cycle of Giving 2016 was our most successful event yet and we couldn’t have done it without you! On Sunday the 28th of February, the Cycle of Giving participants donned their Lycra and helmets to take part in a 100, 65 or 25km ride raising funds for crucial organ transplant research. The pack was led by event founder Mary Long, who was proud of everyone's efforts on the day. Her enthusiasm was definitely shared by the whole group. Battling a tough headwind, the first participants arrived at The Prince Charles Hospital just over 3 hours after the first horn blew, happy to be welcomed by support of their family and friends! The rest of the pack started to arrive not long after, met by the tunes of the Brisbane Irish Pipe Band. Riders and their families were lucky enough to enjoy free Merlo coffee, a complimentary sausage sizzle ran by NAB and plenty of snacks and refreshments donated by supporters Schweppes, Mountain Dew Spring Water and Simon George & Sons. One of the projects being supported by this year’s fundraising is that of Kenneth Sinclair, who was there on the day to help set up and cheer riders over the line. His research will benefit lung transplant recipients such as participant Sinclair Newey, who was our second highest fundraiser of the year. The two were able to meet and talk about Kenneth’s incredible research which focuses on stem cell therapy for lungs both pre- and post-transplant. Well done to everyone who participated in this year’s event and helped us to raise funds and awareness for organ donation and transplant research. We would also like to thank our major sponsors Merlo Coffee and McAndrew Property Group, and supporter Queensland Rail, for coming on board and making the Cycle of Giving such a successful event. You are helping to carry on a fantastic legacy that Mary and Mal Long can be proud of. We’ll see you at the start line for next year’s Cycle of Giving! P.S. You can check out our fundraising totals on our website, or view the latest Cycle of Giving photos on our Facebook page! A ground breaking medical research project hopes to increase the number of hearts available for transplant by 40% by bringing hearts back to life. On Sunday 14th February, a day when people are expressing their love for each other, a team of researchers, surgeons, engineers and nurses came together to begin trials on new technology to make more donor hearts available and also reboot hearts previously not considered viable. Professor John Fraser from The Prince Charles Hospital Critical Care Research Group says currently, donor hearts are stored and transported on ice, but they do not receive a constant oxygen supply but that’s about to change,” We have been donated an experimental machine from Vivoline (Sweden) that supplies the donor heart with oxygen during storage and transport, while keeping it cold and reducing the amount of work it needs to perform – all of which contributes to reducing donor heart injury”. “In a country as vast as Australia, time is of the essence. Using these innovative techniques hearts can be retrieved from vast distances. This allows not only more patients to benefit from the generosity of donor’s families and receive transplants but for those transplanted hearts to perform better allowing our patients to live happier and healthier lives”. “Once we understand the complete potential we will have more hearts available for transplant and hopefully a reduction in deaths in recipients waiting for heart transplants”. This year’s Cycle of Giving will be powering the work of one of our young researchers; Kenneth Sinclair. Currently, there are close to 1600 Australians on the waiting list for organ and tissue transplants. Of these, up to 200 are waiting for a lung transplant, and plenty more lung disease sufferers need to be put on the waiting list. In the meantime, every breath they take can be a struggle, and so it’s important we figure out better ways to source and transplant organs. One way in which the number of individuals who require a transplant can be reduced is by treating their underlying condition. The challenge is some diseases such as idiopathic pulmonary fibrosis have no known cause and the development of effective therapies is thereby made very difficult – how can you prevent something, if you don’t know what’s causing it? Ken’s research suggests some of these diseases are caused by the deficiency or dysregulation of stem cells which reside within the lung. There are two key types of cells that can be found in your lungs; structural cells (that make up the ‘house’ of the lungs) and functional cells (that control everything that goes on inside them). By researching the relationship between structural and functional cells in lungs, he believes he can treat the untreatable. While previously scientists thought the structural cells were purely there to keep the lungs in place, they’ve found that these cells (known as mesenchymal stem cells) are actually in charge of giving the functional cells instructions; kind of like a foreman on a building site. Ken says funding is important, because “it’s about bridging the gap between what we have and what we need”. Click here to hear Ken speak about the project. Get involved in this year's Cycle of Giving to help raise funds for this study! Just $44 powers one whole hour of research. Click here to register for the event, or find out other ways to volunteer or donate. In 2014, there were 79 heart transplants in Australia. Ten years earlier, one of these heart recipients was Mal Long; a Chermside local who was lucky enough to undergo this difficult surgery that helped to extend his life. As a way of giving back (to the doctors, researchers and other staff who made this surgery possible) Mal’s wife Mary began a charity event; the Cycle of Giving. Fast forward to 2016, and the Cycle of Giving will be celebrating its 11th birthday. The event has grown from 16 participants, to more than 700 taking part in the 25, 65 or 100 kilometre legs of the ride. 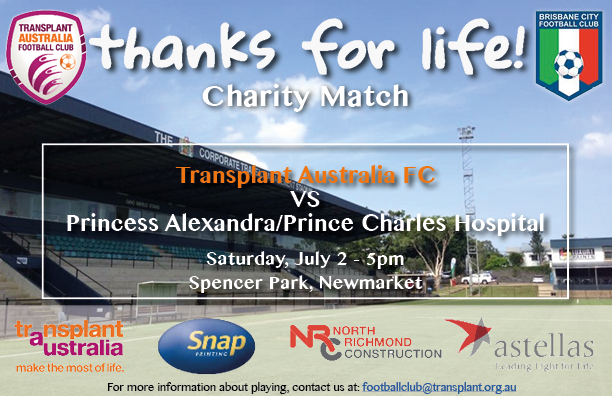 Each year the ride gets bigger, generating more and more crucial funds for organ transplant research at The Prince Charles Hospital. In 2016, all funds raised will be supporting young researcher Kenneth Sinclair’s project, looking at stem cell therapy for pre- and post-operative lung transplant patients. It will not only help organ recipients to live longer, more fulfilling lives, but it also may help to make more organs available for those that need them – hopefully reducing the often lengthy wait for a transplant. The Cycle of Giving has grown from its humble beginnings into a fantastic legacy, promoting organ donation and life-saving organ transplant research. 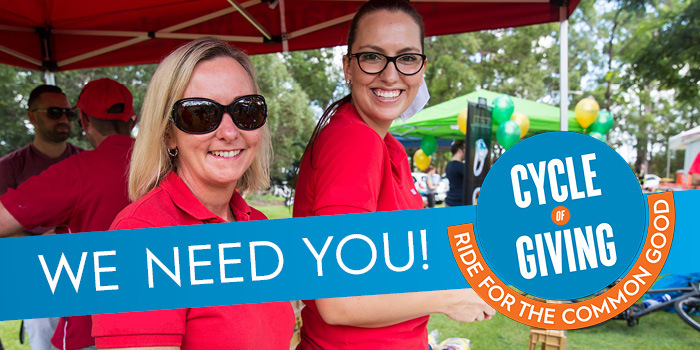 You can get involved by riding, volunteering or donating at www.cycleofgiving.org.au. For most people. This Christmas, thousands of Australians will be suffering from chronic illness and miss out on spending the time with their family. In 2013, one of those people was Linda Warton. After contracting what she thought was a simple cold, she slipped into an unexpected coma. It turns out she was suffering from Legionnaires Disease – a type of bacterial pneumonia that can be fatal if not treated correctly. She was transferred from Nambour Hospital to The Prince Charles Hospital to undergo treatment and continued to be monitored while she was in a coma. For the weeks leading up to Christmas, her family planned visits and waited by the phone, fearing the worst. Luckily thanks to her treatment, she was able to wake up before Christmas and spend the day with her husband. This isn’t the case for a lot of people who suffer from lung diseases or other chronic illnesses. This Christmas, we are hoping to raise $150,000 for important medical research, so we can help more people like Linda. Just $44 powers one hour of research, and can mean the world of difference to those suffering from chronic illness. With people power, we can help more people make it home for Christmas this year. See how you can help here.